You must be a member of the Bangalore Outdoors Group to attend this activity. Would you like to join this group? Italian road trip for friendly group of amateurs who are willing to do some adventure this winter. We are covering at least 6 to 8 popular places in Italy. Kindly note that getting Visa and ticket is your responsibility, and it is not a shopping trip or luxury trip ( Ha.ha.) 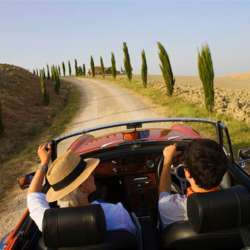 , just an adventure road trip but lot for more fun and exploring places. We share all the expenses equally for rental car, fuel, food, accommodation, entry tickets for important sites, parking, toll etc . No planning but as we move we will book shared accommodation en-route in hostels, Airbnb or villas or hotel. We may further move to Monte Carlo for a day trip, if time permits and with collective choice. Nothing is planned. Important sites and other local tourist activities. Driving with great music and hangout enroute at coffee shops, food break, small country side trails. Prerequisite : You must have Schengen Visa for Indian passport holders or Visa waiver entry for other eligible passport. You must buy your return air ticket and reach to MXP on your own. Extra Euros other than what is required for sharing trip expenses. Any one welcome with bit of travel experience.